Berwin Leighton Paisner LLP (BLP) is slightly different to your average legal firm. A top 15-law firm in the UK, one of the most innovative in Europe and an abundance of learning opportunities for both qualified and up-and-coming lawyers, one being the ‘Busy Lawyer Programme’. The Busy Lawyer Programme offers lawyers the opportunity to attend a day of workshops, presentations and insightful discussions. One of the other benefits to the programme, aside from valuable knowledge, is that attendees are able to use the programme towards their accreditation and qualifications. Each year the highly engaging event uses a fictitious business as a theme for the day. This year The Allotment created a spoof independent cinema chain called ‘Caught On Film’. A new identity was created and a pack was developed for a launch event which included a poster for the private screening of a blockbuster film called ‘Busy Law 6’ (all made up of course) and a programme agenda which cleverly masqueraded as a screen writers script (including coffee cup stains and personal annotations). 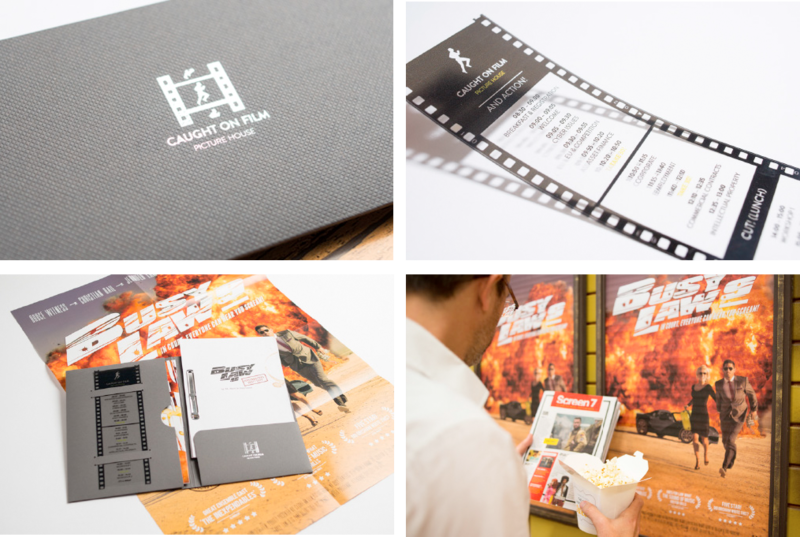 On the day of the event BLP’s in-house cinema was dressed to impress and was decorated in the style of a cinema, including popcorn and ice cream sellers. The ‘screenings’ were completely sold-out with nearly 300 lawyers attending over two days. The Reviews from the critics were of course stupendous with many of the attendees saying that 'Busy Law 6' was the best so far. A great creative brief to work on for The Allotment and a fantastic example of giving something back to a client community in-order to establish a brand that is all about innovation and client-centricity. Well done BLP.